These large rustic wood angels are absolutely stunning!! ⭐️ Freestanding at 1.5" thick. ⭐️ Range in height from 12-19” tall. ⭐️ Painted light ivory, antiqued and stained. 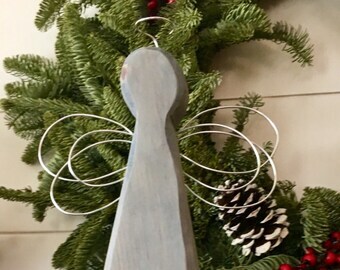 ⭐️ Accented with beautiful gold wire wings and halo. 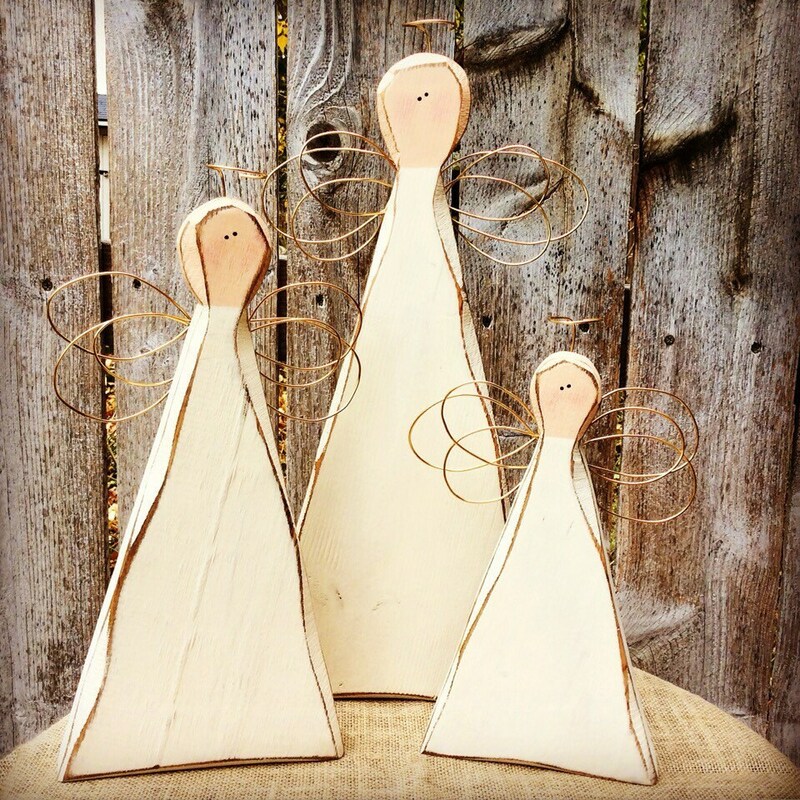 These farmhouse wooden angels make a stunning statement in your Christmas display and they're beautiful enough to keep up year round! Makes a wonderful gift too, especially as a sweet remembrance. *Variations in wood are considered part of the natural beauty of each piece, giving each item it's own unique character. © Ladybugs' Spot. All designs and images are protected by copyright. Use of images and designs without permission is prohibited. It arrived on time and in perfect condition. I love my sunflower and working with Ladybugsspot was wonderful! I needed a slight alteration and she accommodated my request easily. Packaging and delivery were efficient and the added personal touches made it seem like a friend had made me something special as a gift. Highly recommend! These are so lovely. I've put them on fireplace. Trustworthy seller. Great communication. Well packed.